Why do you still feel fat after losing weight? Why do you duck your head when you drive into an underground parking garage? Why are your kids so enthralled by video games? The answers to these questions can be found in a new understanding of how your brain interacts with your body, the space around your body, and the social world. Every point on your body, each internal organ, and every point in space out to the end of your fingertips is mapped inside your brain. Your ability to sense, move, and act in the physical world arises from a rich network of flexible body maps distributed throughout your brain. The science of body maps has far-reaching applications. It can help people lose weight, improve their ability to play a sport, or assist recovery from stroke. It points the way to new treatments for anorexia and phantom limbs. It helps explain out-of-body experiences, auras, placebos, and healing touch. It provides a new way to understand human emotions from love to hate, lust to disgust, pride to humiliation. 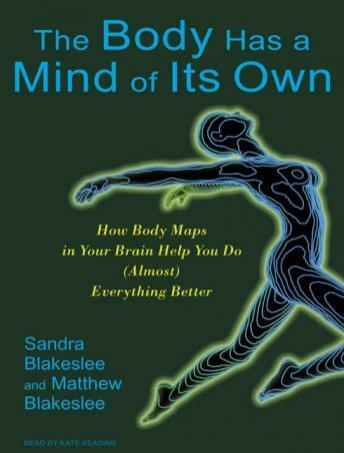 With scientific discoveries from every corner of the globe, Sandra and Matthew Blakeslee have written a compelling narrative that is positively mind-bending and that will appeal to readers of Sharon Begley's Train Your Mind, Change Your Brain.